This Miyoshi Nagamichi belongs to Jyojyo saku ranking. Blade length : 56.06 cm or 22.07 inches. Sori : 0.76 cm or 0.29　inches. Width at the Kissaki : 2.15 cm or 0.84 inches. Shape : It is wide and thick strong wakizashi. The Sori curvature is shallow. It is typical Kanbun Shinto sword shape wakizashi. Jitetsu : Itame hada well grained with JInie attached. It is clear jihada. Hamon : Nie Deki suguha from the hamachi. 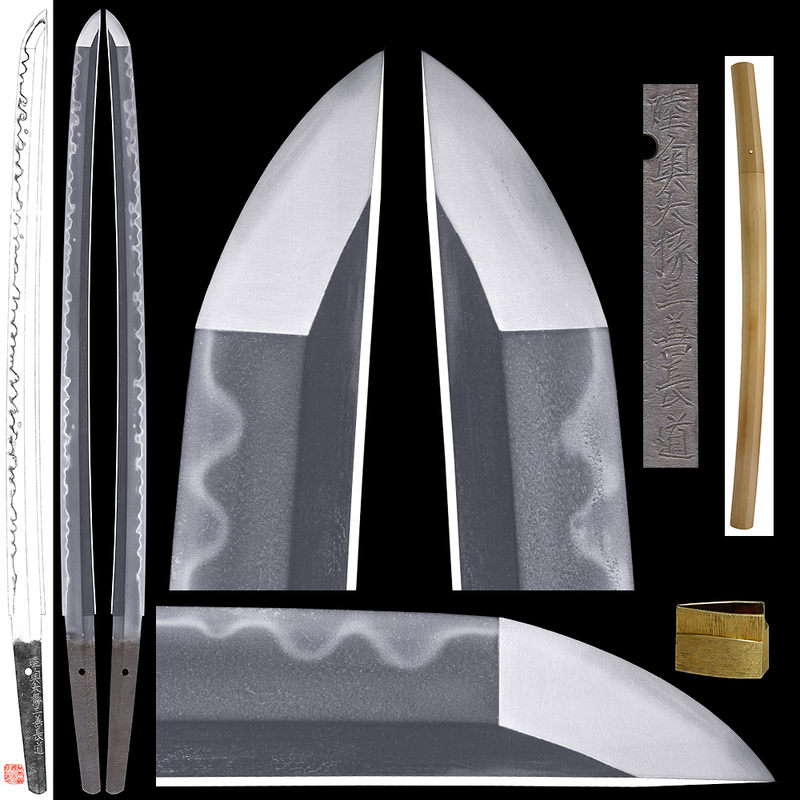 The blade becomes gunome midare and boshi hakikake style. Special feature : Miyoshi Nagamichi, born Miyoshi Toshiro lived at Matsuyama in Iyo province is a grond son of Nagakuni. Nagakuni was a retained swordsmith of Kato Yoshiaki. when they moved to Aizu in O-shu province in 1627. Nagamichi was born in 1633 who was called Michinaga in his youth. Accepting Mutsu-Daijo in 1659, he changed the name to Nagamichi. in his book as one of twelve excellent swordsmiths at the point of sharpness. Quite a few swords forged by Nagamichi survive with the result of cutting test. Nagamichi the First passed away in 1685, aged 53. 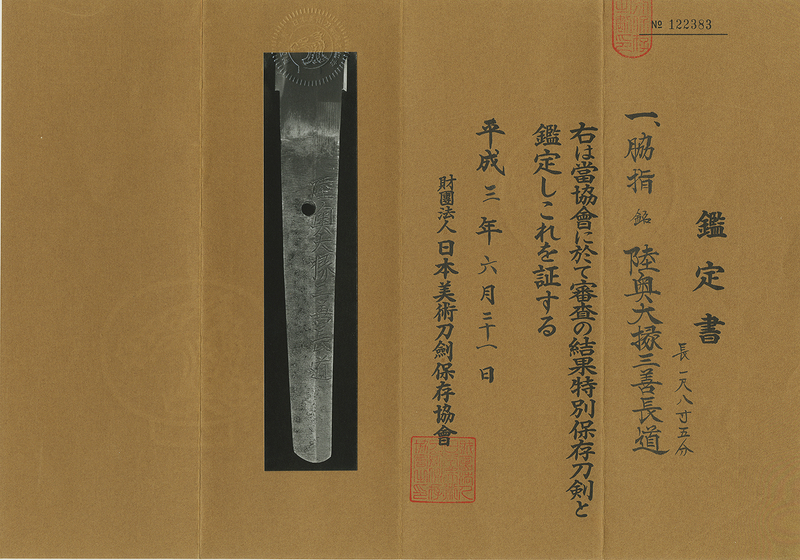 The workmanship of this katana shows a strong resemblance to Kotetsu who is a representative swordsmith of Edo-shinto.